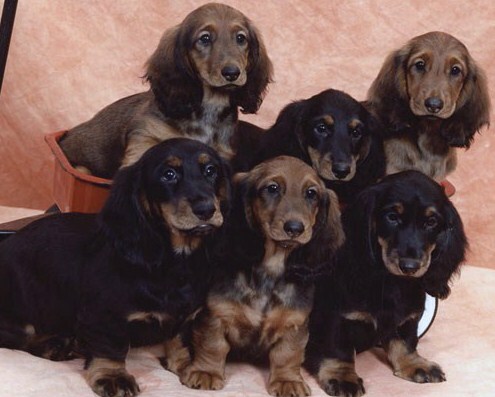 Welcome to Von Links Dachshunds web site!! 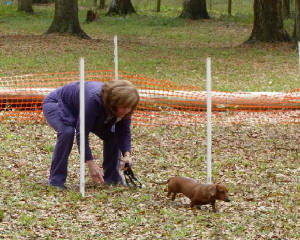 We’re a small band of dachshund fanciers who would like to share our wonderful experiences in the breed with you. 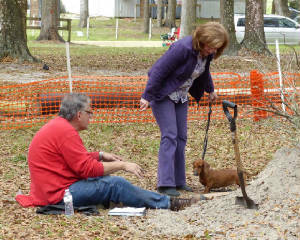 Lucy Granowicz, Von Links Dachshunds (formerly Arimich), and Connie Delaney, CAD'S Dachshunds, are both located near Tampa, Florida. 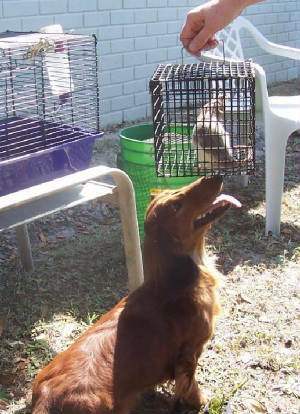 Ray Chaplin (Raymond H Chaplin), PBD Dachshunds, is in West Palm Beach, Florida. 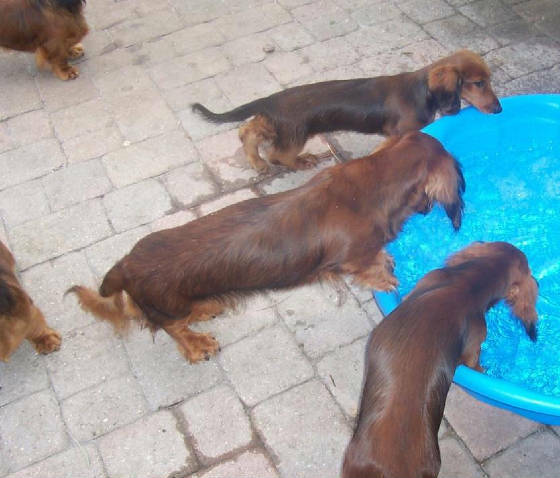 All three own, love, breed and show standard longhaired dachshunds, and Lucy has miniature smooth dachshunds as well. 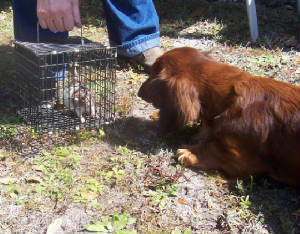 Our fourth member and very dear friend is Emily Ward in Cornish, Maine who nurtures both wonderful longhairs and junior handlers. She has taken several of our finished champions and put them back in the ring with up and coming juniors, the future of our sport. 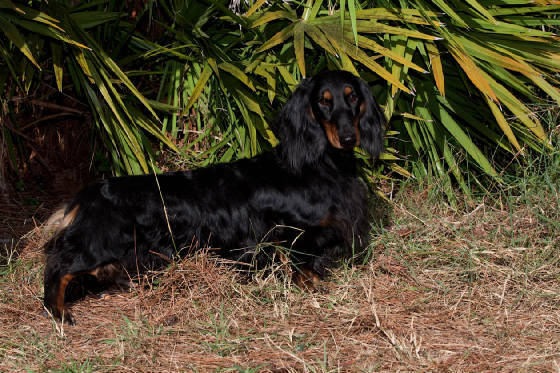 As enthusiasts and breeders of AKC champions we want to share with you, so please browse our site and enjoy yourselves. 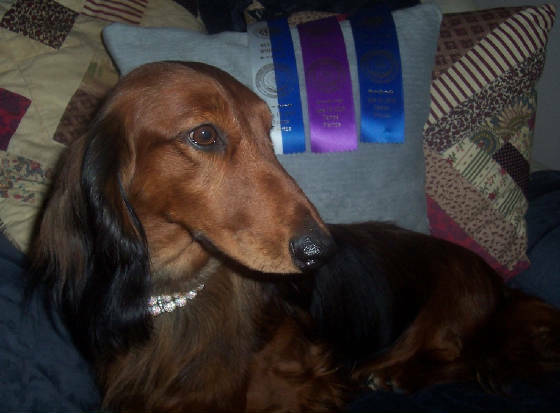 Liberty Von Links SL "Libby" finished her championship on Saturday June 16, 2018. Show picture to follow. 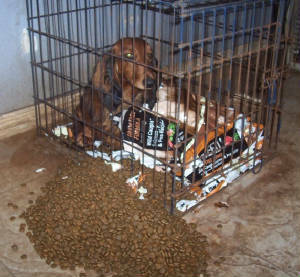 This is what could happen if you put a new bag of dog food to close to a wire crate with a dachshund in it. 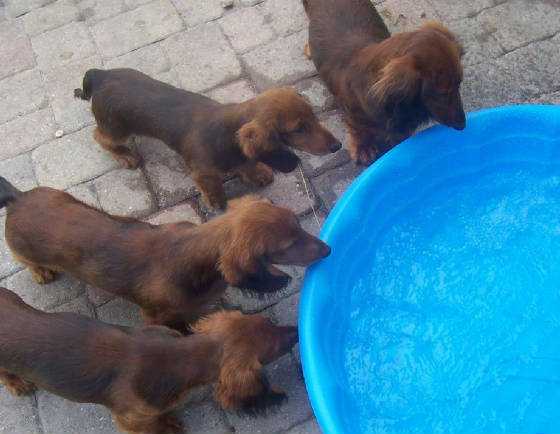 Calfornia Girl and her friend Cooper were lucky enough to meet Crusoe. 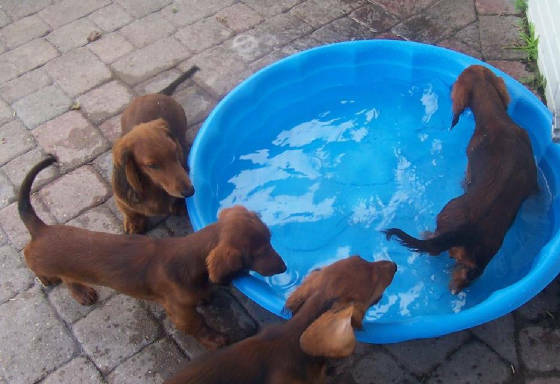 He had a Pawograph party in the center of downtown L.A. 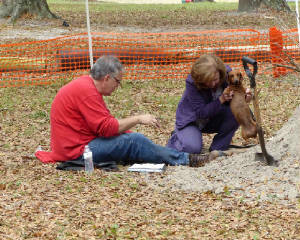 There were a couple of hundred humans and dogs who came to meet Crusoe and his humans. 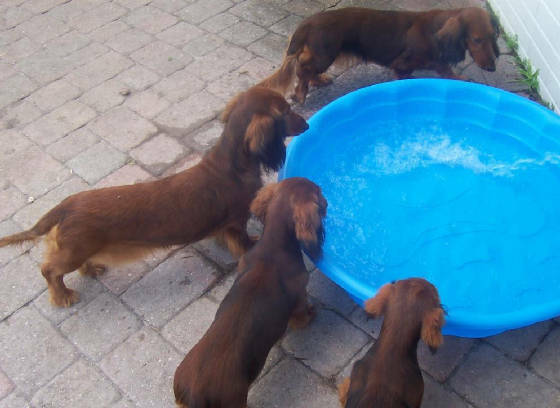 The bookstore said that there was another author event that night and she (the author) was a little miffed that Crusoe's crowd far exceeded hers. 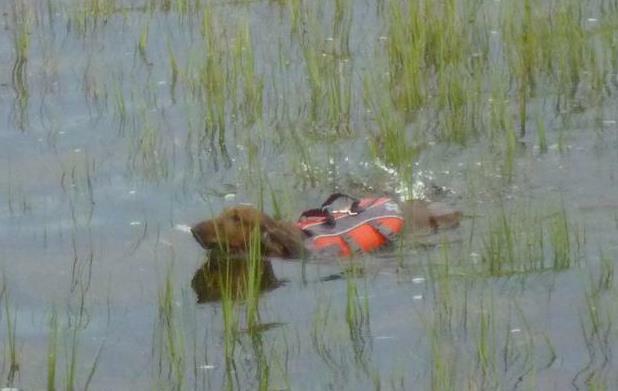 Way to go Crusoe! 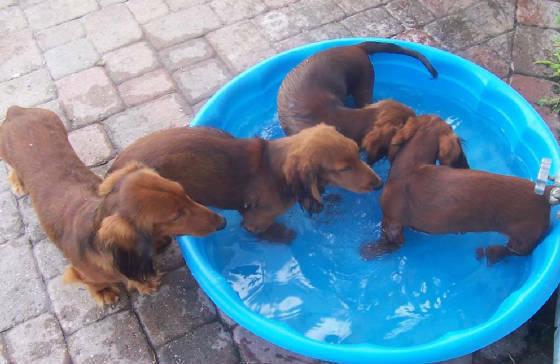 Beating the Florida heat has Razz's puppies loving their new pool. 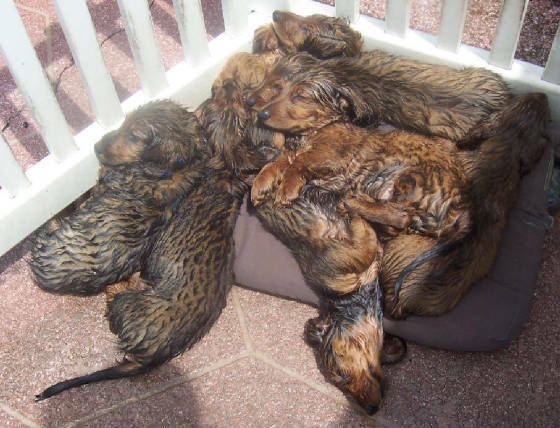 Click below to see some of these same puppies now in their new homes. 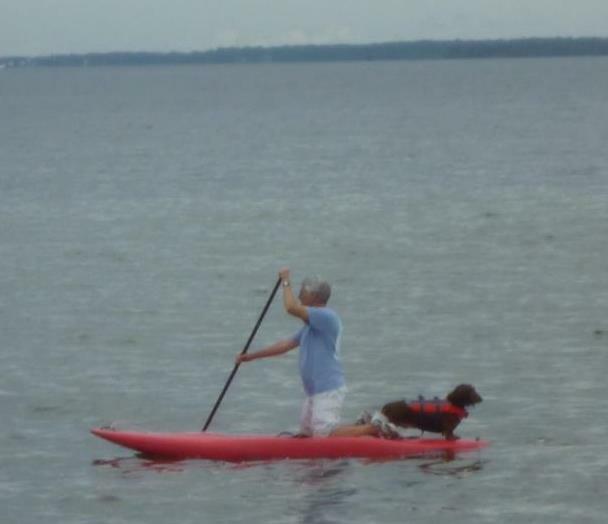 Belle enjoying her weekend paddle boarding on the bay. 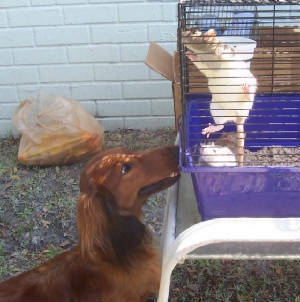 Razz is meeting the rats that are going to be used in the Earth Dog Trials on March 7th and 8th hosted by the Florida Gulf Coast Dachshund Club. 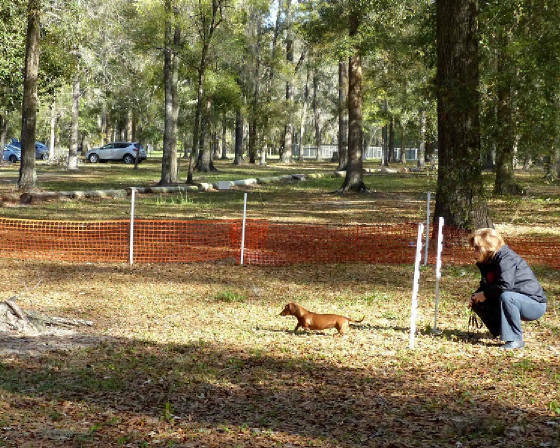 Munich Von Links MS (Nikki) ran her first Earth Dog Trial on March 7th and 8th and received her first leg towards her Junior Earth Dog title. Second photo shoot now available. 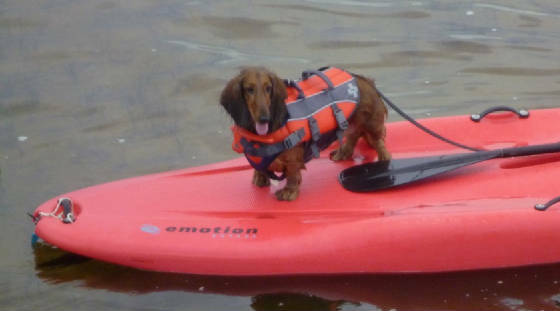 Many pictures have been chosen for 2011 Dachshund calendars. Willowcreek Press is one of the publishers.